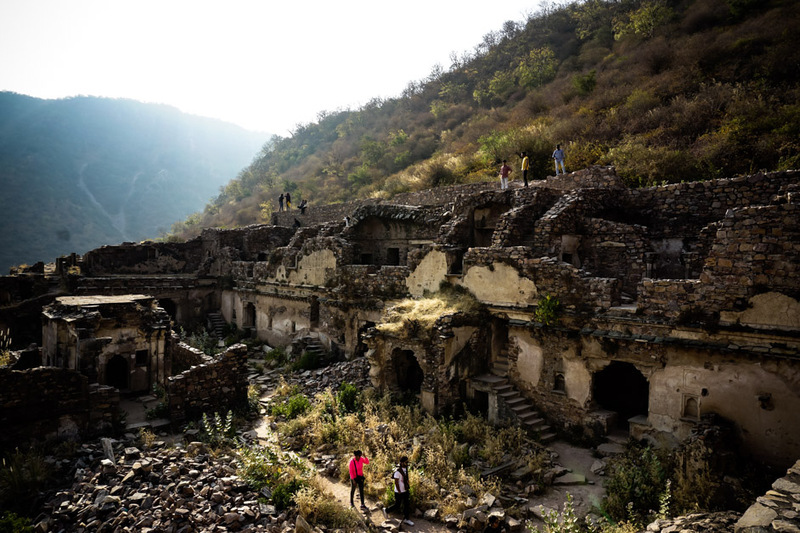 The former town of Bhangarh has earned its ghost town status in more ways than one. The crumbling stone buildings lining past streets have now become one with the land, slowly returning to dust. 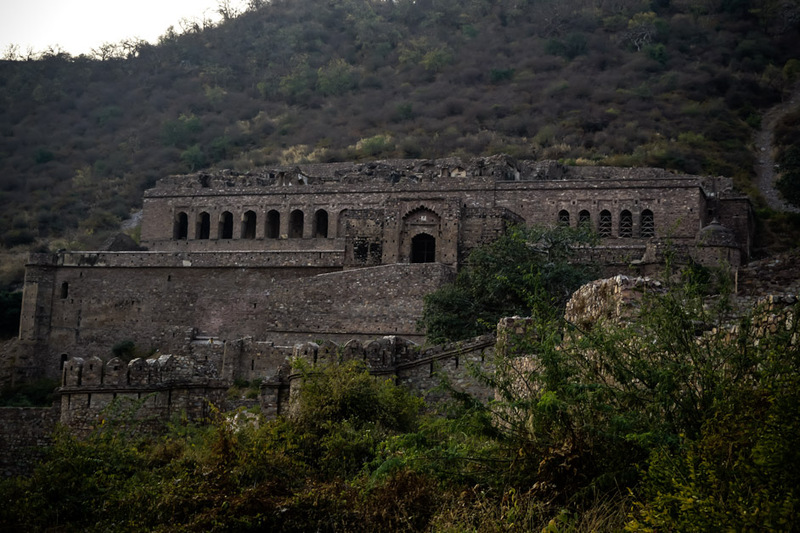 Yet, it is the fearsome fort that proudly watches over these ruins that makes Bhangarh a true ghost town. 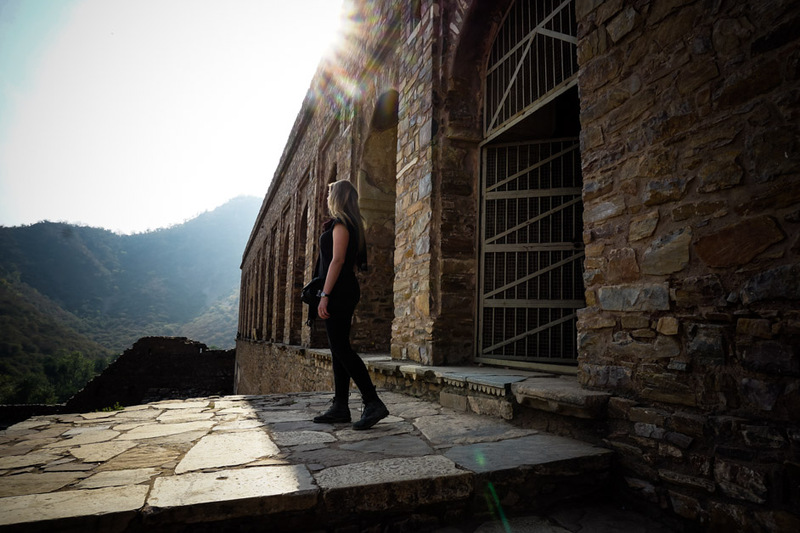 There are countless legends that surround Bhangarh Fort, which has led many to believe the place is extremely cursed and the most haunted place in all of India. 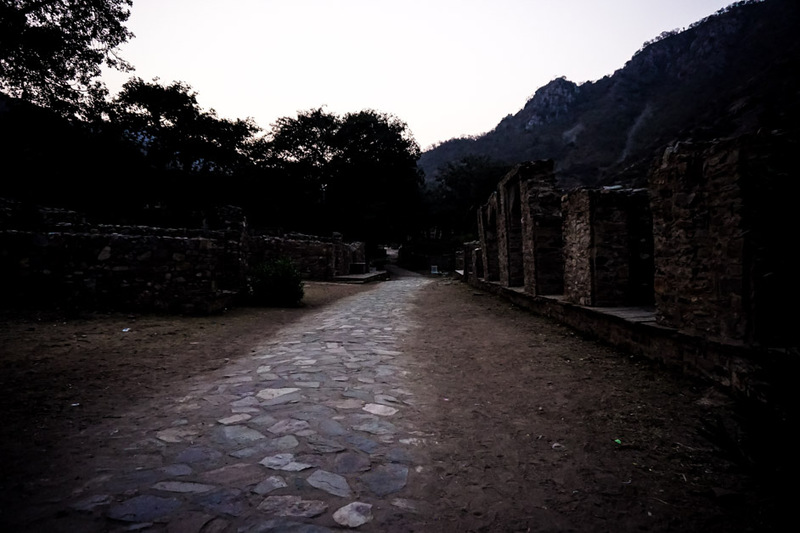 Bhangarh Fort is believed to be the most haunted place in India. Bhangarh Fort is one of the most important historic monuments in the Indian state of Rajasthan. It was built in the 17th century by the great ruler Bhaawant Das for his son, Madho Singh. Though the fort was an impressive structure and once surrounded by a bustling township, it did eventually fall into abandonment. It was this rapid decline that triggered beliefs about a curse and legends to develop based around Bhangarh’s demise. Today, these have continued to evolve into terrifying and plentiful ghost stories. View of Bhangarh from the top of the fort. In addition to the many ghosts thought to roam Bhangarh, the site is also believed to have sustained a curse at some point in its life. There are alternative tellings of just how the fort and its township became cursed. Below are the two most widely told legends. 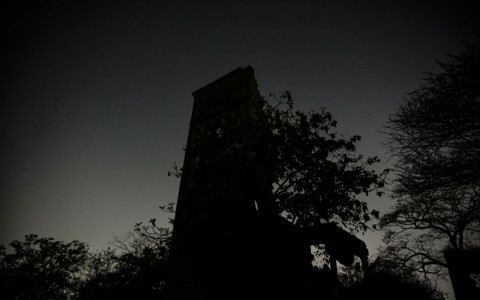 Darkness falling over the cursed, haunted and ruined town of Bhamgarh in India. 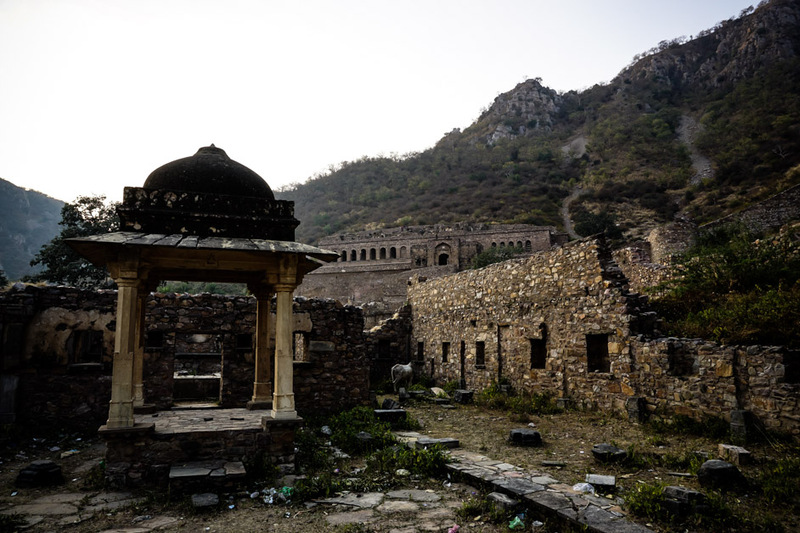 The first story that describes how Bhangarh became cursed begins after the fort was passed down to the son of the ruler who had it made, Madho Singh. Supposedly, Madho’s father had struck up a deal with a local guru who prayed nearby, to have the fort built. He had promised this guru that the fort would never overshadow his place of prayer, and hence received a blessing to build the fort. This promise was not upheld by Madho, who continued construction of Bhangarh Fort after his father’s death. Many believe that from the point the fort grew to overshadow the guru’s place of prayer it became cursed. Withering and becoming obsolete. The guru’s tomb. Still standing today. Another legend tells of a beautiful princess who once lived within the fort. It is told that a local wizard/sorcerer fell deeply in love with her after sighting her walking through a market perusing cosmetics. He became so obsessed with the princess that he was led to create a plan that would trick her into falling in love with him. He proceeded to place a love spell over a cosmetic item and had it sent to the princess. However, she was wise to his plan and discarded the charmed product by pouring it over a boulder. This allegedly enchanted the boulder, triggering it to seek out and crush the sorcerer. Under the pressure of this great boulder, the sorcerer managed to curse Bhangarh before drawing his final breath. View of Bhanagrh Fort behind a crumbling shrine. 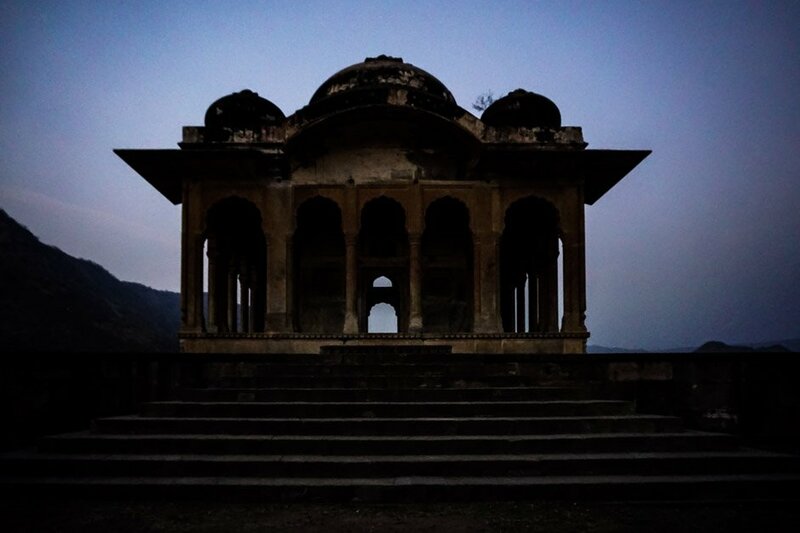 There are plenty of ghost stories and tales of paranormal occurrences surrounding Bhangarh Fort. The most well known and famed story about the fort is that entry to it after sunset has been forbidden. This is of the thought process that the area is so haunted, those who enter after dark are at risk of not ever returning from the fort. This rule is even displayed and enforced by the Archaeological Survey of India. A monkey overlooking India’s most haunted place. 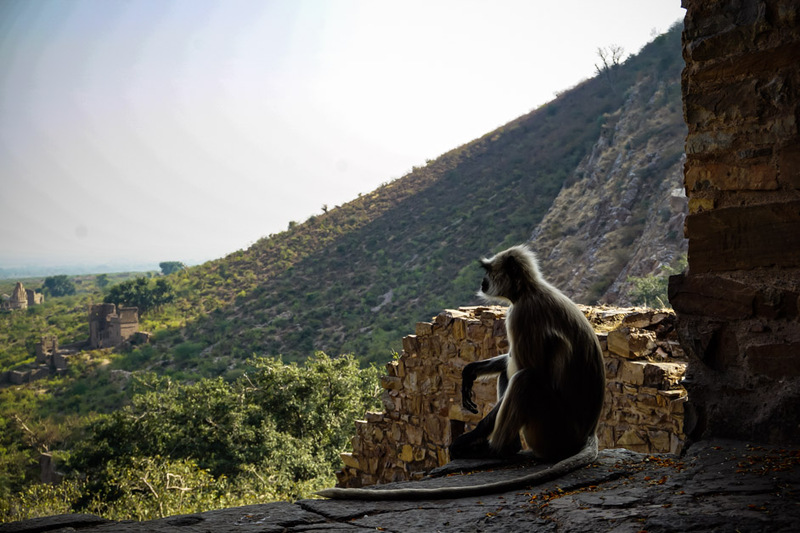 Many people believe that there is an abundance of spirits that roam the township and fort of Bhangarh each night. There have been countless reports of unexplainable noises coming from the empty fort after dark. These are most commonly reported to be screams, crying, laughter and even music. 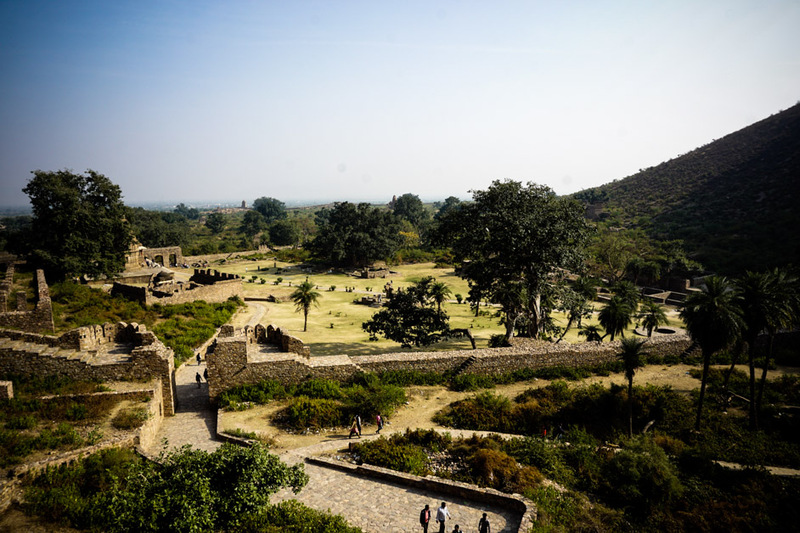 In addition to unexplainable noises, many have also seen apparitions, shadow people, seen odd light anomalies, been overcome by sickness and even been physically attacked by unseen forces within Bhangarh Fort. View of Bhangarh Fort’s interior. Bhangarh Fort is an interesting historical attraction that should not be missed by any paranormal buffs making their way to India. It is easily accessible while within the state of Rajasthan. I recommend staying in Jaipur and hiring a driver for the day. to take you to the attraction. The fort is open daily from sunrise to sunset and admission is free. It is wise to bring plenty of water, food and sun protection if making the trip out. 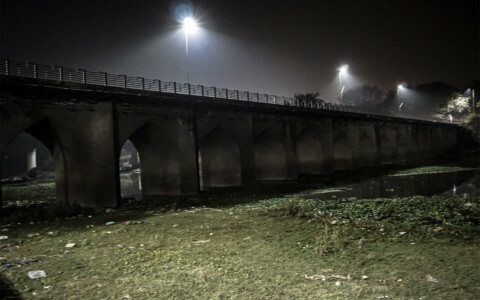 Exploring the haunted places of India. I hope you enjoyed reading about this haunted place in India. If you are interested in more Indian haunts, I highly recommend checking out Dumas Beach.